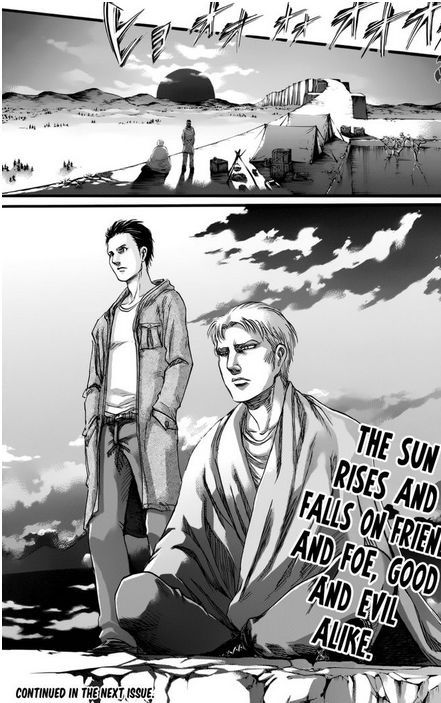 After Clash of the Titans arc (from chapter 35 to chapter 50), it was confirmed that Reiner and Bertolt survived. 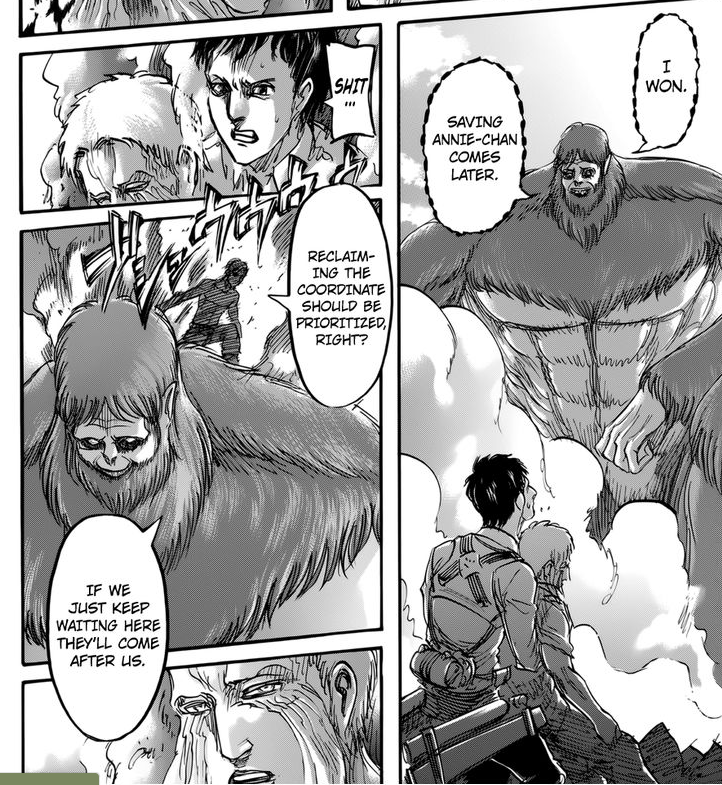 Since they were previously planning to go back to their village with Eren, now that Eren has been rescued, will they really go back without Eren? Or will they come back for him? "Reclaiming the coordinate should be prioritised, right?" The trio, including Reiner and Bertolt are left lying in wait for the Survey Corps at this location, as they know that will try and retake Wall Maria and gain access to Eren's basement. 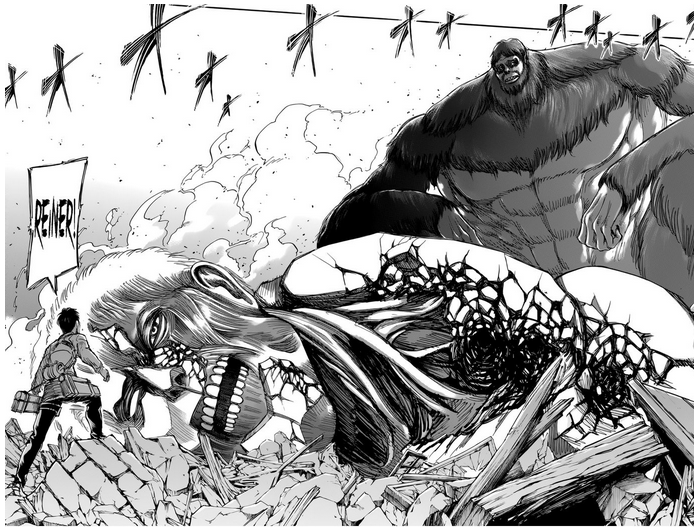 Chapter 72 finishes with the Survey Corps heading back to Wall Maria, with the two shown camping atop the walls of Shiganshina. A meeting between both groups will likely occur in the next chapter, where we will be able to see exactly what they have in store for Eren.